"Adopt your virtual pet and grow from kitten to cat"
Game Goal: Follow the growth of a very cute cat, from kitten to adulthood. 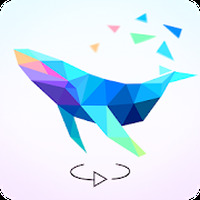 Take care of its feeding, bath it, give it affection, and even collect figures and have fun with creative minigames. How to play: You must take care of all the needs of the little pet, because it feels hungry, requires affection, needs to sleep, etc. 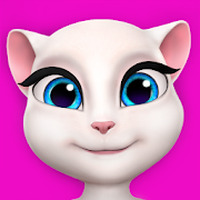 The game features various hairstyles, clothes and accessories to customize the cat. Graphics: Vibrant colors, cartoony characters and graceful animations make the game super attractive to its target audience. Sound: Every time you touch the screen the kitten emits funny sounds that promise to captivate children. Languages: English, Portuguese, Spanish, among others. Content Classification: A great game for the infant audience who like pets. Useful Tips: Watch the promotional videos to get more diamonds. Developer: Outfit7 is based in Cyprus	- One of the most prominent developers on Android Market. Installation requirements: A minimum of 99M of free memory space and Android 4.0.3 or higher. Rating: The TOP 1 Most popular games in Pet Care Games category. Ranking: The TOP 1 Most downloaded games in Pet Care Games category. Several types of hair, clothes, etc. are released throughout the game. Hundreds of figurines to collect. Compatible only with more modern devices. Do you like My Talking Angela? Outfit 7 you are back on track!